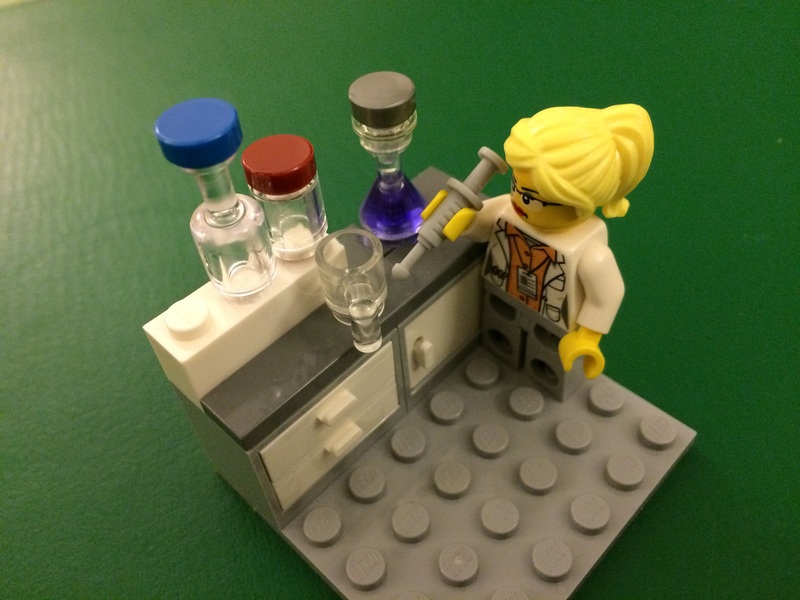 So this post is about practical work in science, it’s not a review of the proposed changes to GCSE practical or those already in hand for A Level. It’s just my little world of practical work as a Chemistry teacher, and it is what I will be doing on Tuesday’s period 2 for a few weeks. There are different types of practical work in science. When I used to plan on a scheme of work, we had various codes : PP pupil class practical; PD Pupils help in a demonstration.TD Teacher demonstration. AP assessed practical. I am so old that when I did my A levels we had science practical exams. In Chemistry this was usually a titration and mostly oxalate /permanganate ( ethanodioate/Manganate VII for the younger reader). We knew what to do, I had after all done one about a dozen times. We also had some analysis to do, a so called unknown and a few simple tests, flame tests and maybe some solubility tests to show this was Potassium Sulphate ( lilac flame, ppt with Barium Chloride). BUT oh how far we have come. Why do I like Investigations? It does feel as if this is what proper chemists and maybe research chemists actually do. A mix of researching methods, designing an investigation, carrying it out and persevering when it doesn’t quite do as it’s told. We all learn lots of Chemistry, the students, the staff, the lab technicians but most of all the students. Even those who can just about understand concentration, dissolving, diluting etc get a much clearer understanding by doing it and by doing it AND being assessed. The quality of work can be amazing. 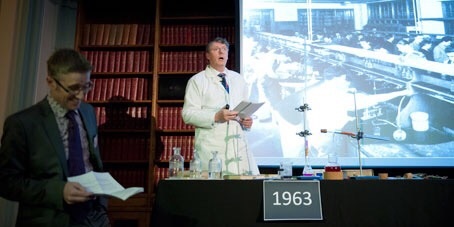 I recall in the early days of moderating seeing some truly wonderful investigations, given a relatively free rein it showed just what A level Chemists could do. they were ambitious, clever and often original. I even recall showing Professor David Waddington a project he diligently read it.’ What do you think?’ I hoped he would say it was ‘very interesting’ or’ innovative’, his reply: “probably worth a first”. It’s one of the few bits of assessed work students enjoy. I know they also get stressed about the marks but if they plod on they usually enjoy the experience, usually do quite well and genuinely understand chemistry better. They become mini experts. When we resume ‘normal work’ and revision they can teach their peers on kinetics, on errors, on calculations etc. I often turn to them ” tell us how you solved that”, explain how you worked ‘that’out. It can inspire and motivate. In my day whenever did an A Level practical, let alone an assessed one, persuade me that Chemistry was exciting or innovative or frontier, though to be fair it showed me it was very useful. I have seen young people carry out their practical project and want a rethink on their HE choices. See n many of them get to grips with this fascinating subject in new ways. It builds skills, all sorts from the practicalities of problem solving through to the softer skills of perseverance (though maybe if I say ‘Character building ‘ the politicians will listen). 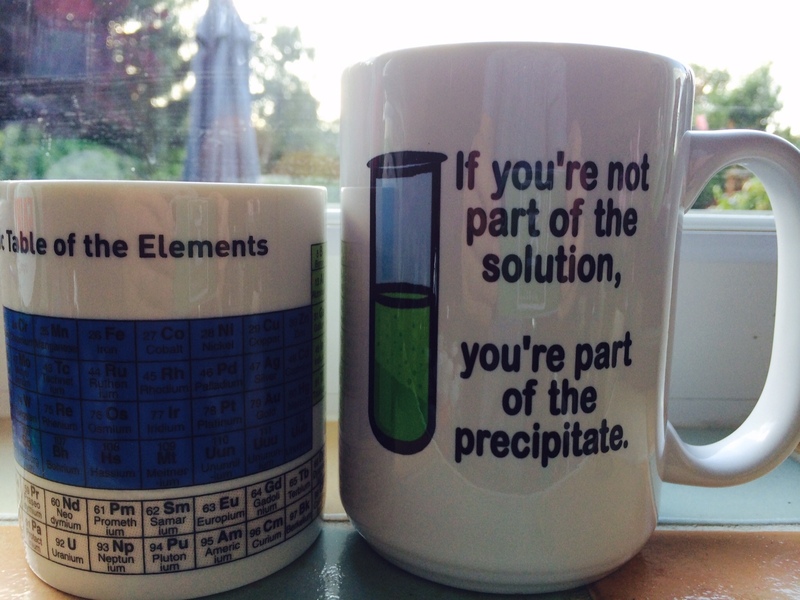 They also work on their own not in a pair or a group but independently – hey a bit like real Chemists? It is perfectly assessable. Our students get a range of marks, from many 4/5 or 5/6 right down to 2 or 3/6. That’s a tribute to a good mark scheme, fairly properly applied, internally moderated and externally moderated. Practical work vital to my subject, should and can be assessed. The hardest aspect back in the early days was researching ideas and practicals, it so often depended on getting the right books or articles, but what a great opportunity to raid the ASE and RSC cupboards. Now of course we can go on the internet. AND sure I know that’s why some people feel the whole of practical work can be cheating but really – have you ever met Chemicals? No one gets a practice. You can’t do a four week project twice, you can’t rehearse, you can’t spend weeks researching and planning and then change your mind. It’s a good test! And if Investigations ( let alone practical work) disappear? I, for one , will be sad, I can’t think any other assessment building skills, showing off Chemistry, motivating and contributing to the student learning experience. ( although I do know learning for an ordinary test or exam does concentrate the mind). Maybe we can still do them, say the end of Y12 (Oh No) the skills won’t be quite so well developed and hey the AS is gone or going or something. Maybe we can do a mini project (Oh No)– you need four weeks, is there really that much spare time or are we refilled with extra content in the new world? Maybe there is after school, the Chemistry club – Oh No – how disappointing that something which should be done in lessons is reduced to ‘after school’ or ‘ in the holidays’. If you are an examiner, assesor, moderator reading this, don’t worry we Chemistry teachers will make whatever yuou give us work, its what we do, but me, I am still allowed to mourn. You might like to read other posts from my timetable of teaching – each is set out from lesson in the school week, before or after school or at the weekends, appropriate to the time of day. I have also started a class lists or “set lists” which was to answer the questions: “why be a teacher?”or “why have other responsibilities in a school?” Shortly I am starting a new area about progress from one role or experience in teaching to another with hints and tips about successfully moving on in the job and your teaching career. In my blog yba teacher I confess to a small white lie or being economic with the truth – teaching is a great job but Chemistry teaching is the best! 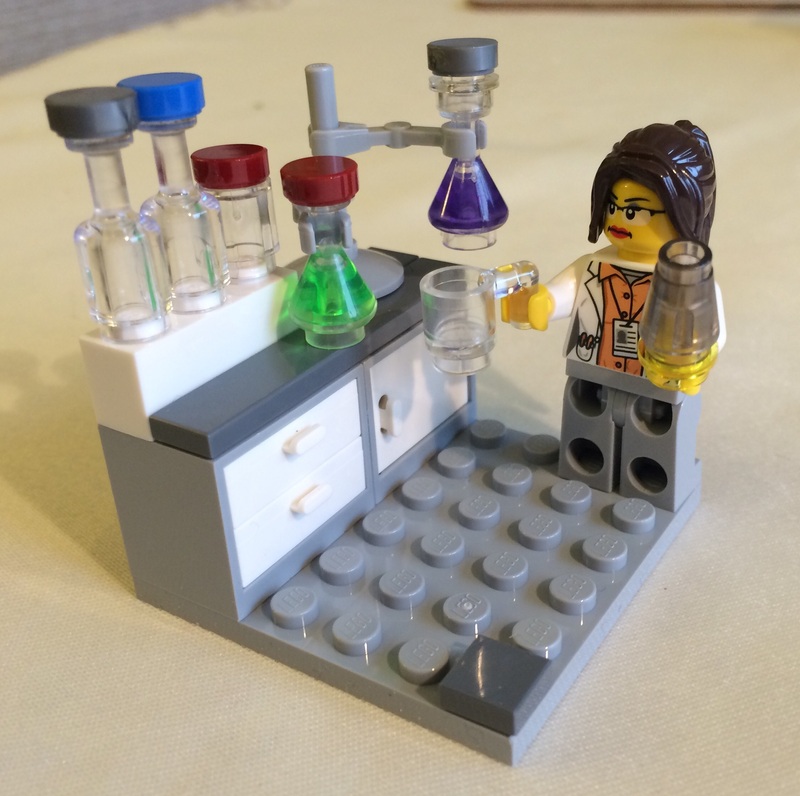 What it is about Chemistry and teachers? It’s a great subject to teach, though not easy (are any?) so what do I think makes our subject unique , intriguing and beguiling. It has a great intellectual capacity and challenge. There is no doubt there is a lot to know, a lot to understand, a great deal to work out, a challenge of how it all applies but at its most basic Chemistry is about ‘problem solving’. From the exam questions to the global problems and from the latter the history of discovery, serendipity, heroes and well a few anti-heroes too, some absolutely lifechanging discoveries and developments and some we are overwhelmingly embarrassed about. but it generates huge curiosity. One of my first ever lessons with a brand new shiny y7 and I added acid to indicator, then added alkali and as it went from red back to green a small child open-mouthed, staring from a silent audience in my lab said “bl**dy hell that’s amazing” and the whole class and me gasped, his face said it all, one of astonishment and yes we had a word about his words. but who couldn’t read about our subject and not be curious. There are patterns and themes and exceptions and rules and maths and observation and theory and practice, what could be more intriguing? For me the real highlight is that it has great stories : of discovery, of changing the world for the better, of poison and intrigue, of dedication, of enviable cleverness, of battling against the odds. Stories of people (too many to list) and materials. it has a great history, it’s involved in culture, it is …everywhere. 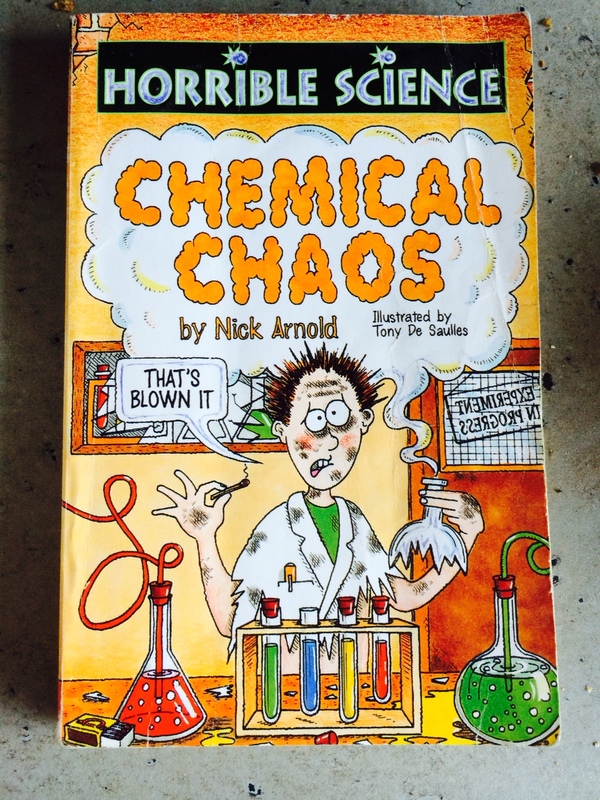 If you are a non chemist reading this get hold of ‘Chemistry world’ from the RSC in a local library and I defy you to read two or three copies and still not agree: medicines, dyes and paints, fuel, energy, food, agriculture, materials from plastics to metals, detergents, cosmetics, …..just soooo wonderful. I might even claim the history of mankind is driven by Chemistry, you can’t fight a battle against warring invaders in a bronze age without..bronze, and you can’t fly aeroplanes to escape without Aluminium. I can only tease you here, otherwise it’s a book on the way! Web based resources. In recent years we have seen a growth in resources on school websites and university websites and fantastic links to be pursued and followed. Organisations well preeminently the RSC but also the ASE. Local sections, paid staff and volunteers, publications and websites and the most wonderful CPD.There are foundations like Nuffield, organisations like CIEC, NSLC and University departments too numerous to mention, my experience is that these people are always willing to respond and support too and I’ll add in any more if you let me know any obvious one’s omitted. I have though to mention @RSC_Eic because their website and magasine has a special place in my work but it is always an inspiring read with something to make you think and something for you to try and use. stuff for students, events to take students along to and great ideas to use with them. I can’t leave this section without referring to videos ( hey we watched the Christmas lectures in my day) and of course youtube has great links. You really must store periodic table videos from the University of Nottingham in your favourites but here is my all time favourite video all the way from 1947. Practicals: From demonstration to class practicals through to investigations. I still love demo’s, yes a few bangs and a few ‘ooh agh’ colour changes or explosions but also the finer details, demonstrating a titration properly and seeing youngsters learn and do their own, aiming for really good results. Class practicals, especially if we keep them a little open ended and coax some extra curiosity. 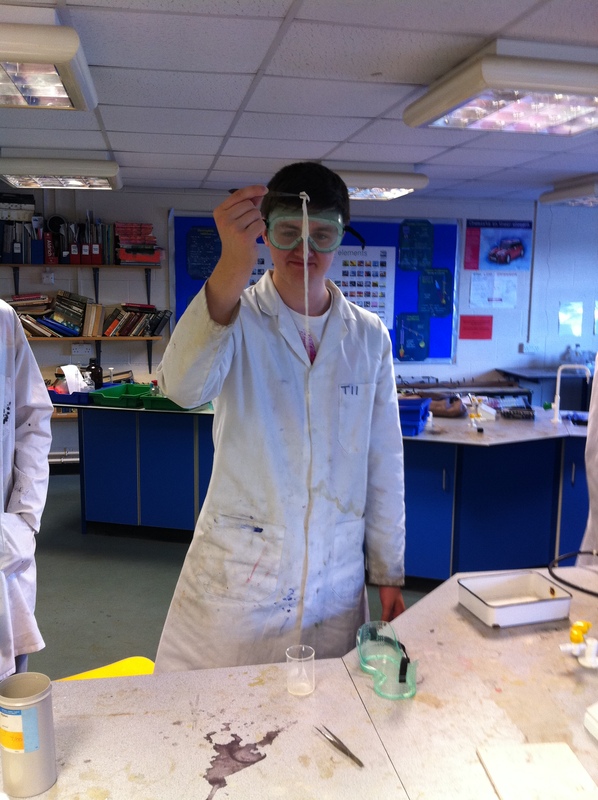 No not those we have to use in coursework or controlled assessments, just great practicals. If you get a chance make use of local companies or Universities willing to show/use some of their big kit too. I am still scared when we start our Investigations with Y13. Perhaps ten or twelve different experiments over 3 weeks, carefully planned, executed only to find this is Chemistry and sometimes doesn’t do as it should, written up, analysed and evaluated and all that for 90 UMS, and they enjoyed it. Not sure where this is going in future Ofqual! Exam questions ( well applying Chemistry) I mentioned intellectual curiosity and once pupils have learnt enough basics ( although my University tutor claimed that took 3 years as an undergraduate) we can then solve problems. I refer readers to OCR specification assessment materials, they are a major challenge as pupils look at their problem solving in a new context. All the exam boards have stuff like this. You can’t really look at solutions to an ozone crisis without understanding bond energy. You can’t look at fuel replacements without a deep knowledge of thermodynamics and despite the interest in a manufacturing process you really do need to get a good grasp of equilibrium and kinetic Chemistry. I recall one bright A Level student say to me after their exam “Sir that was really hard, you never taught us about poisoning deer” which was true, the derivation of course was Arsenic chemistry (also not taught but worked from the pattern of N and P). I love those new and different contexts and I always reckon one of these young pupils might just be able to replicate photosynthesis in a test tube one day. Frontier stuff: Yes we can share the here and now, sure we have to cover atomic models established back at the turn of the last Century but we can look at the major modern progressive stuff too:green chemistry or clean technology, computer modelling and yes we can read about whoever won the Nobel Prizewinners in Chemistry (another brilliant website) and we can think why and what it might mean. Chemical education research it’s not just a subject with diverse, interesting and challenging content from the worlds of Industry, academia, research, Art, culture. 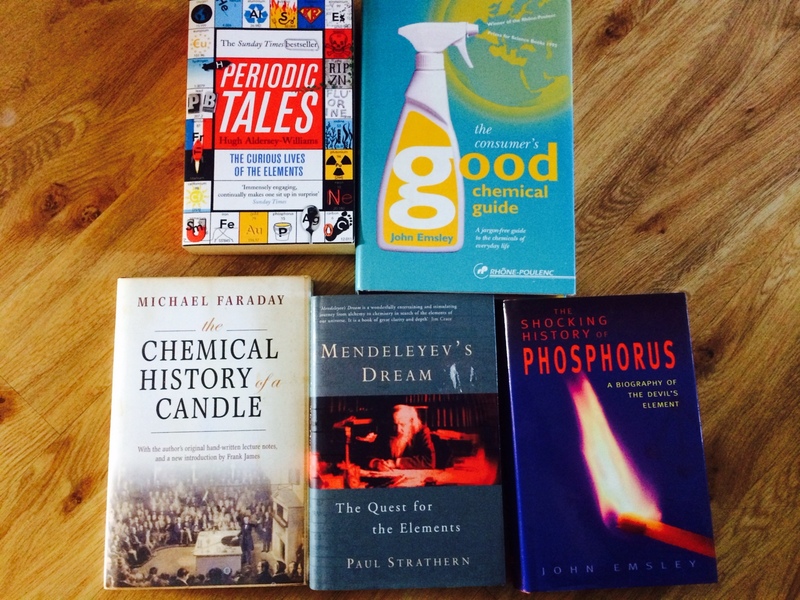 But we do have proper chemical educational research, and like the content it’s not just a UK tradition. if you need a starter, try this site, but do look at stuff going on in Higher Education too as much can be brought down into secondary.for example there is a lot of discussion going on about ‘flipped classrooms’ bet we can draw from that. ( oh and they might learn a bit from us too). 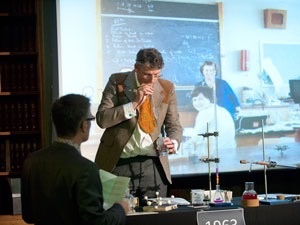 So lots of wonder CPD and commitment, including the RSC’s latest paper on Chemistry teaching and I added a positive but challenging voice in a recent endpoint, whatever happens the commitment is there for the profession. 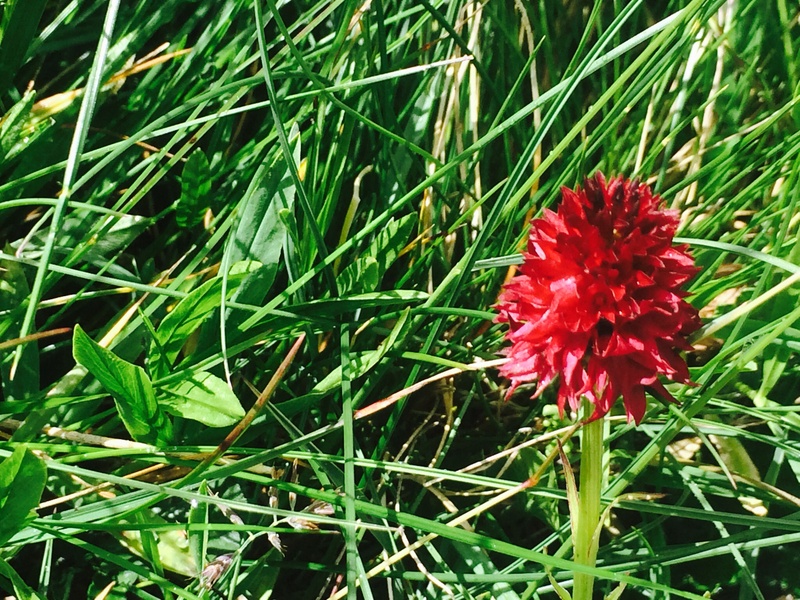 Rare Swiss orchid, smells of chocolate, makes the milk of cows that eat it turn blue. Activities Pupils do love their practicals but we are richly blessed, we can stimulate great data analysis, we can develop and try out micro scale practicals, we can turn to molecular and computer modelling. Back in the day I tried so hard to think in 3D and I think my inability prevented my progress but then along comes molymod models and then computer graphics. This will light up the Chemical world. I have a few old OHP I drew to explain electrolysis, atoms with a bit missing (cations) and atoms with a little extra electron being picked up and I flashed these up quickly to make a video. Laughable now as we can see so many animations, we can even do ‘play’ experiments in school altering the temperature and pressure etc of complex reactions or processes. Careers– I think Chemistry qualifications show some sort of standard even in this ever changing time. Our pupils are well served by a GCSE in Chemistry, an AS or A level and BTec’s in linked areas ( though I wish the vocationals could be sorted properly!) and of course a massive variety of degrees and linked degrees. But we chemistry teachers can get great careers too, after all these teachers are good problem solvers ( theoretical and practical) they are good communicators, they know about research principles and hopefully they are a touch eccentric and they share great good humour: need I say more! 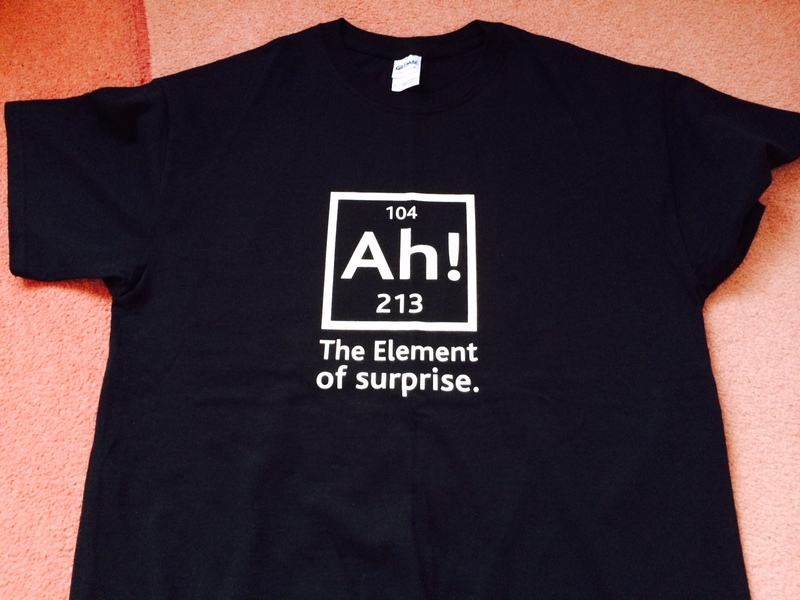 Interestingly the fantastic Chemistry teachers I have met and worked with, very often still think of their classroom lessons as the highlight, they really do #lovechemistry. 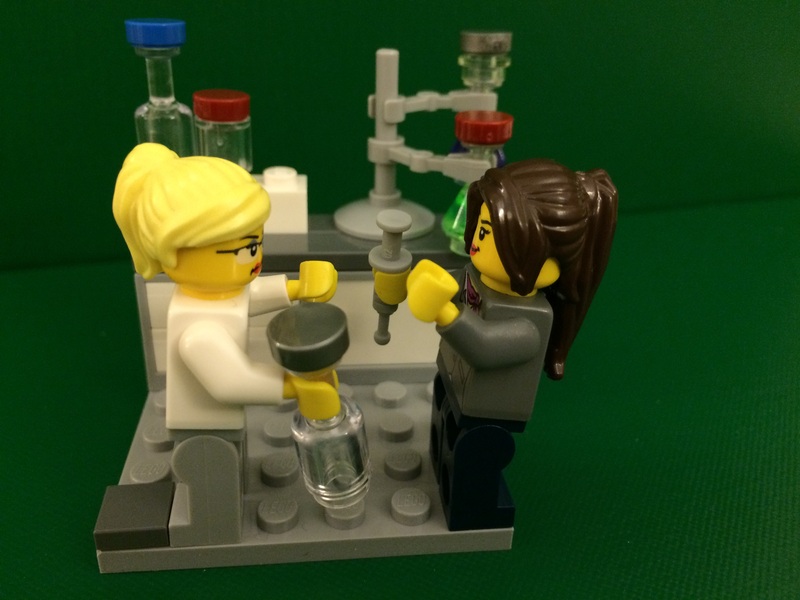 Colleagues – I work with and have always worked with great chemistry colleagues, sharing ideas, learning from each other, thinking how to improve what we do or frankly working out how to use some new spec or new assessment model to advantage. 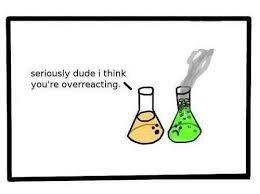 Just discussing Chemistry with another person interested in the world of Chemistry, is frequently uplifting. Q1 What else do you think makes it a great subject? Q2 Are there other things professional bodies could do to help us? Q3 What obstacles that stand in the way do we need to shift? Q4 How else can we share our enthusiasms? Celebrations Chemistry teaching CPD craft of the classroom Exams extra curricular Leadership and management Learning Parents Post 16 school School assemblies secondary Education Students Teacher Careers Teaching the intimacy of a lesson Training Uncategorized why? If music be the food of love – it should be at the heart and soul of a school.